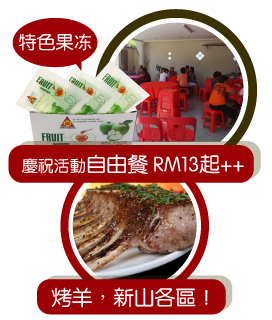 Once order for 50pax and above, free tables with skirting and chairs, Pudding and popcorn will be provide. 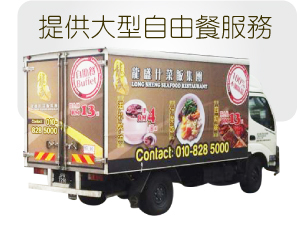 Our free delivery will only cover from Bukit Batu to Senai area, while other area will have an extra charge for RM 50. You are welcome to leave your message here, and we promise will reply your feedback within 24 hours.